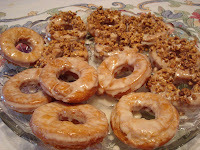 When I saw that Peabody from Culinary Concoctions and Helen of Tartelette had decided to throw a "Time to Make the Doughnuts" blogging event I had no choice but to participate. I had never made homemade doughnuts before, and have actually been craving a good doughnut for quite some time, so I figured what better time than now! 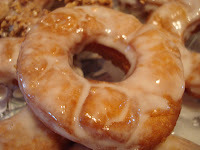 So off I went in search of an easy...non yeast...doughnut recipe (I'm still terrified to work with yeast!) 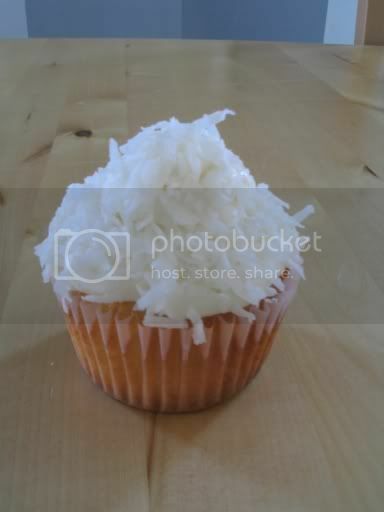 After looking for a few days I came across an interesting recipe on Epicurious' website. 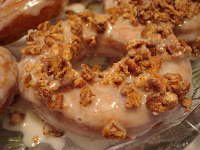 The doughnut was called Maple-Glazed Sour Cream Doughnut with Sugared Walnut Streusel, it was love at first read! There was no yeast at all, the recipe sounded very simple and the flavor combination left my lips smacking in anticipation. So that was it my recipe hunt had ended! With the sun barely peeking over the mountains and gloomy snow clouds covering the wintry morning sky, it was time to fry up some doughnuts. 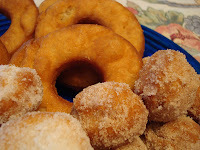 Right away my kitchen was letting off the aroma of breakfast, and I had only made the dough for my fried little treats. It was the orange zest in the dough that awakened my family's nose giving them their morning hunger pains. My dough was ready in about 5 minutes, but need to rest for an hour. So while the dough was nestled in the corner staying warm, I got to work on the streusel which was also very, very easy! The recipe calls for walnuts, but I had pecans, so that's what i used. And who doesn't love cinnamon sugared pecans in the morning? By baking them in the oven the streusel gets a really nice crunch to it, which also brings out the flavor of the pecans. I had to force myself to quit eating the topping, it was so good! Finally the hour had passed and I cranked the blue flame under the Le Crueset to "High"...time to rock and roll! 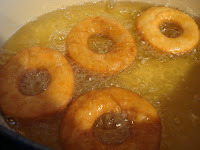 With my doughnuts cut into typical doughnut shaped I carefully lowered batches of orange specked doughnuts into the hot oil. For a second there I could've sworn the oil was saying "Snap, Crackle, Pop", cementing the idea of fresh doughnuts for breakfast into my head. 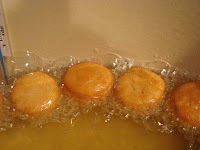 When the puffed doughnuts had their summer glow it was time to retrieve them from their boiling hot swimming pool...which I had become quite envious of. Here I was standing in warm pajamas trying to keep my feet from freezing on the cold as ice tile, while my doughnuts were basking away in the heat, turning their skin from eggshell white to summer golden brown...bastards. Little did they know I would get my revenge! Out of the hot oil the doughnuts dried off on some paper towels. 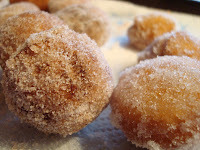 I got a paper bag and dumped some cinnamon and sugar in it and quickly tossed the hot doughnuts holes into the bag. Shake, shake, shake, shake...and out they came covered in white crystals, smelling heavenly. 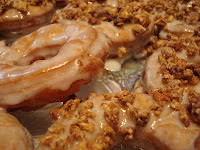 The doughnuts were dunked into the maple glaze (twice, just to make sure they were good and coated) and then covered in the crunchy streusel. Thanks Peabody and Helen for a great blogging event!! Wow! Your donuts are impressive. I would do it except for all the oil that is required. Yummo! Mmmm, doughnuts is right!!! That is some might good looking fried dough. steph, i want donuts right now! ugh, too bad i'm procrastinating writing a grad school paper so i definitely can't waste any time making donuts, sniff.. maybe next week. :) i'm getting my masters in ed too! The maple walnut glaze on these is fantastic! Absolutely fab donuts Steph. These look and sound really delicious!! Great job! Great minds think alike. 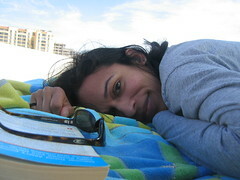 We both used Homer's saying for a post title. These look absolutely awesome. What a great flavor and topping you used. I give you big credit, I was too afraid to try the oil with them.